We are a dealer for OLS Tubs from Ellendale, ND. Based in Fort Macleod, Rockin' B Farm and Ranch Supply supplies feed tubs to cattle and other livestock farmers. 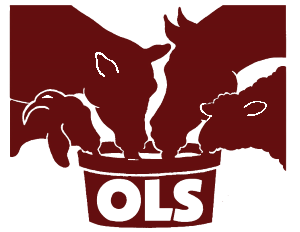 OLS tubs are protein lick tubs that contain nutrients, vitamins, and minerals. We keep a specific inventory on hand, and these lick tubs have proven to be popular with farmers throughout Alberta and Western Canada. If specific orders are needed we can put in a minimum 3 Mt special order. To inquire, order or check availability of the protein lick tub that is right for your livestock, please contact either the office (403-553-3775) or Brian(403-308-7890).